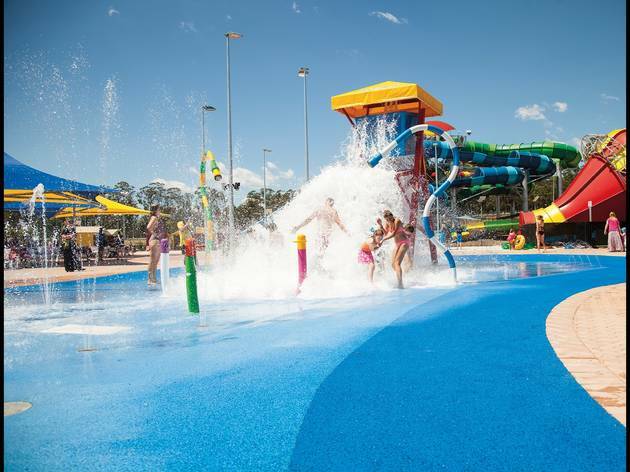 The wettest and wildest park in Sydney... weeeeeeee! 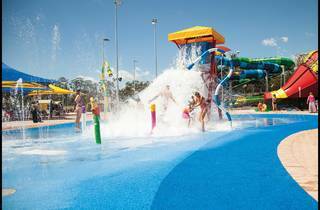 It gets hot in Prospect: often three or four degrees hotter than the coastal areas of Sydney. 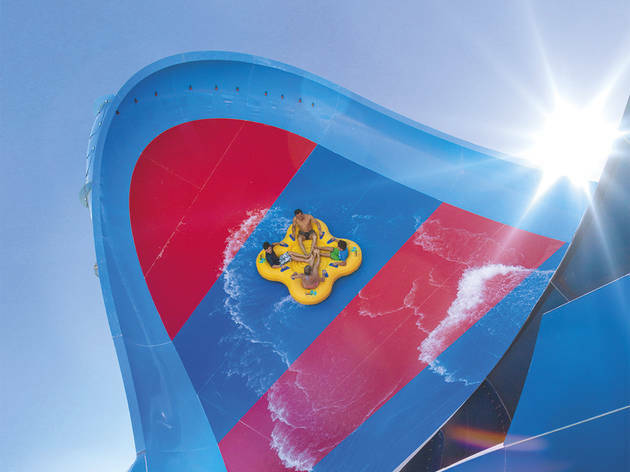 That makes Wet’n’Wild, with its giant, Curaçao blue, sand-lined wave pool and complex, curving, canopy of rainbow waterslides a pretty attractive proposition. 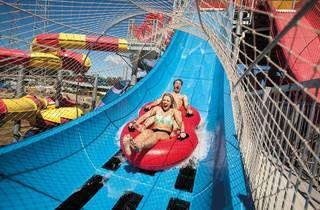 For those who’d rather not wait in line for the 360Rush, a set of six storey high twin slides that each loop a full 360 degrees, cooler days may prove to be a gift. 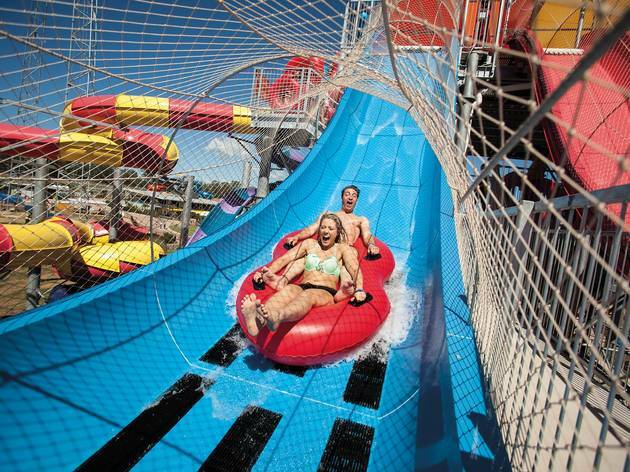 Come in a wetsuit, and you can avoid the chill and the crowds. 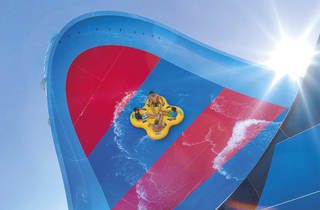 When it does heat up, the eerie sprays of water that feature in the dinosaur attraction will provide some respite. 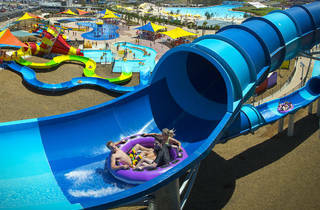 The animatronic prehistoric creatures have been placed around a gently flowing lazy river (filled with rubber donuts). 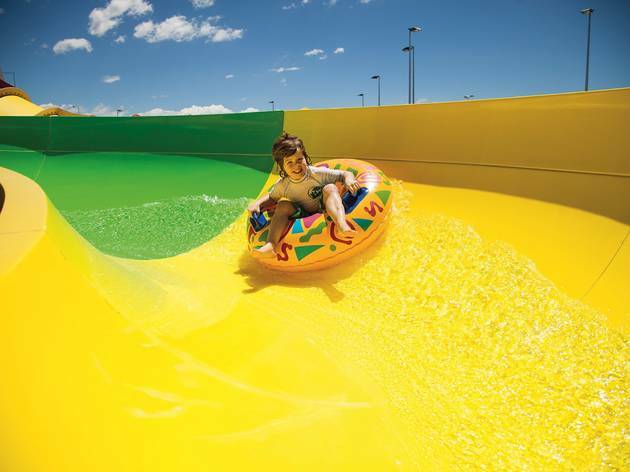 The dinos are the latest in the park’s more than 40 slides and attractions. 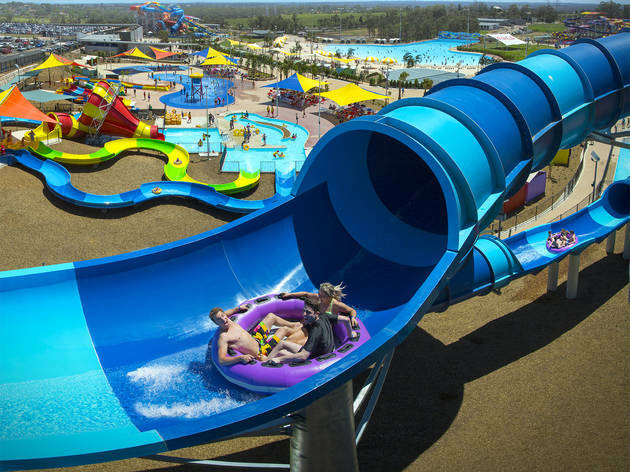 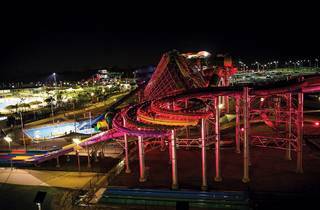 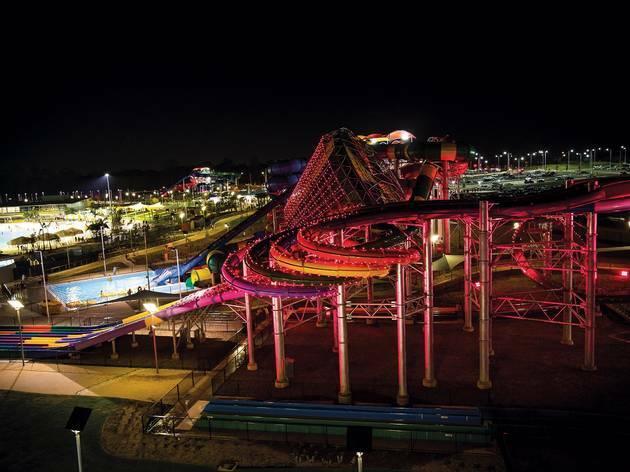 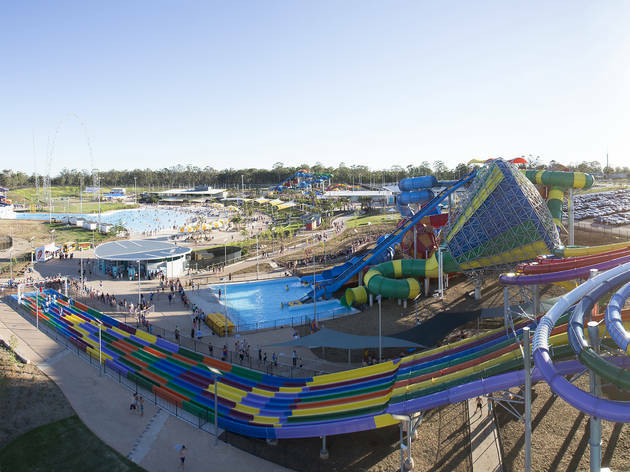 We're also keen on the Surf Deck, Australia's only 'latitube' (according to Wet 'n' Wild) a stand-and-surf ride which generates ‘waves’ from between four and ten feet. 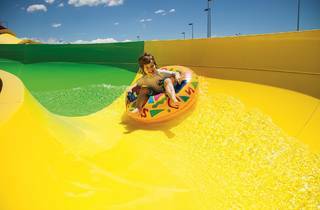 You have to pay extra for a ride, as there is limited capacity, but it's an easy way to learn to hang ten. 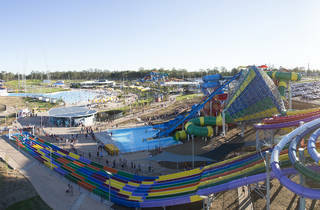 The park, in association with Surfing NSW, also holds surfing lessons for children and adults in the wave pool.